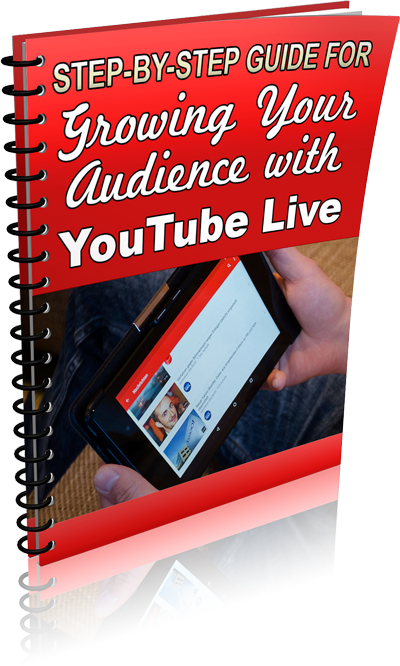 Whether you want to do a webinar, an online conference, show people how to do something or just talk to your fans, YouTube Live is becoming the go-to platform for getting it all done. 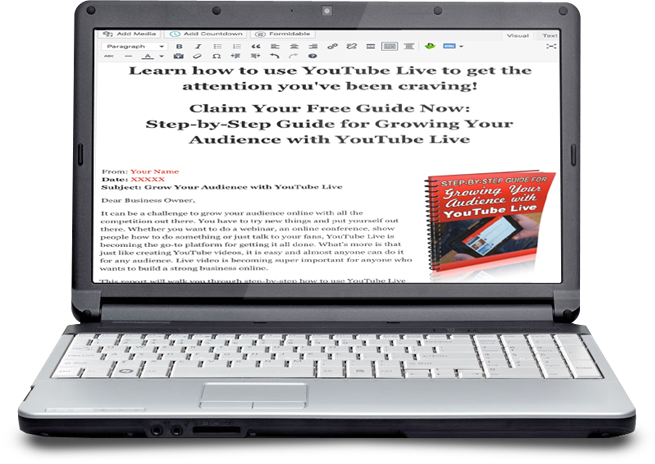 What’s more is that just like creating YouTube videos, it is easy and almost anyone can do it for any audience. Going Live is a little more complicated, but with the right instructions, you can do it. It’s important that you do, because live video is becoming super important for anyone who wants to build a strong business online. …and more. 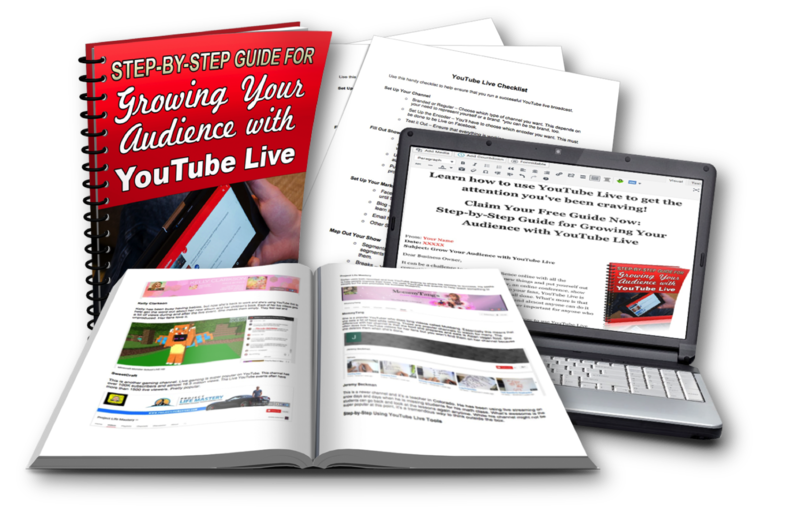 Give your readers the information they need to grow their audience using YouTube Live. 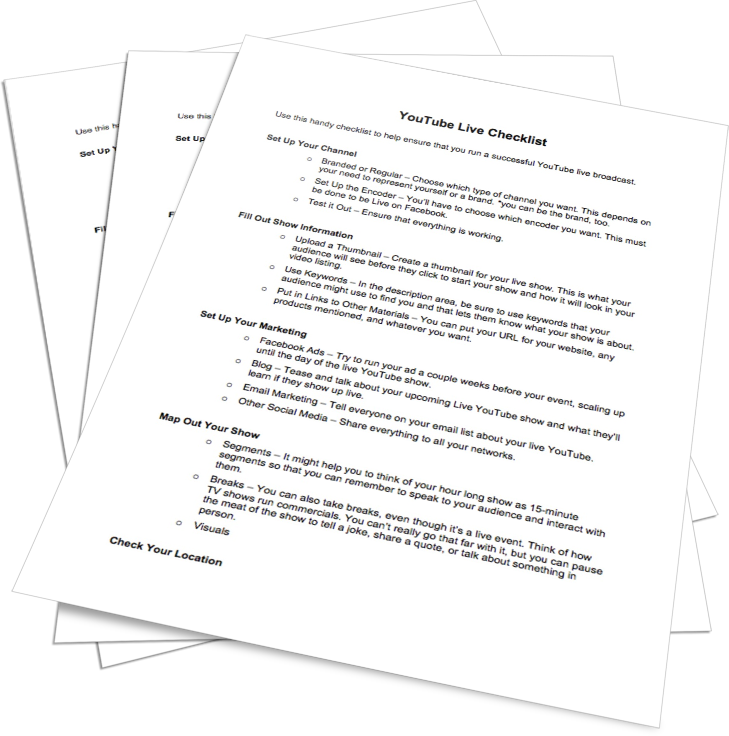 You also get a detailed checklist (2 pages / 723 words) to help your readers get started on YouTube Live. Imagine how much time and effort we've saved you in getting all this ready-to-publish content for you to use as an effective lead magnet. Not only have we made the content, but we've made the lead-generating opt-in page and graphics you need to promote it. As you can see, it would take plenty of time and investment to put this content together on your own…but you don't have to. We've done the work for you and all you need to is publish the content, add your autoresponder opt-in code and you'll be growing that list in no time. 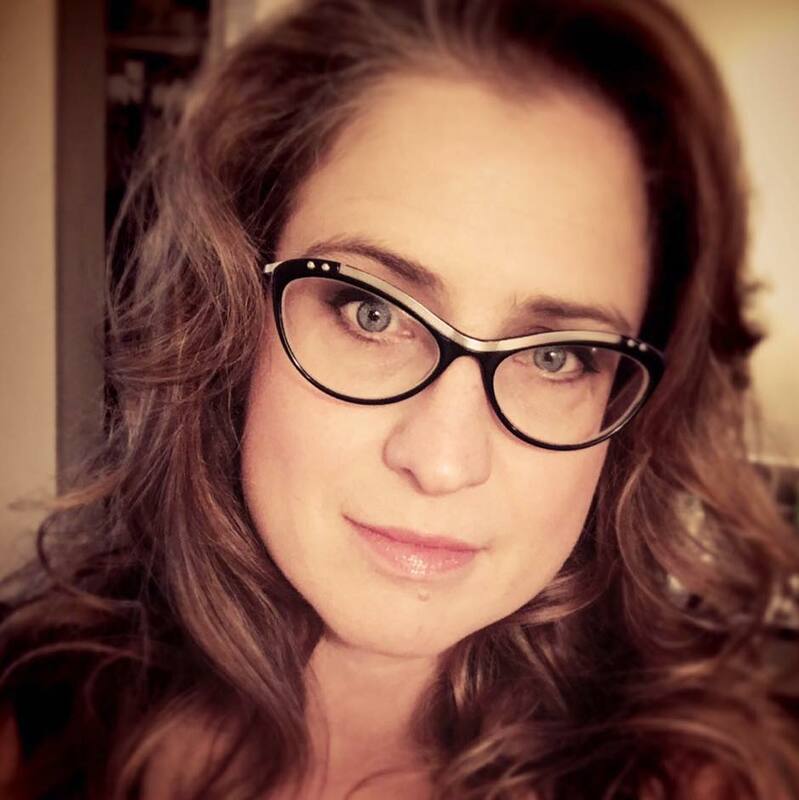 At only $27 ($720 value) for your PLR license, so you can save endless hours of time and plenty of money to provide your readers with the information they're looking for.